This Friday night I'll be hosting 14 friends for a pre-Thanksgiving feast. Since I don't want us to all get too stuffed on turkey before the holiday, I've put together a menu with a twist and included a traditional menu for next week's festivities too! and I'm in love with that photo! 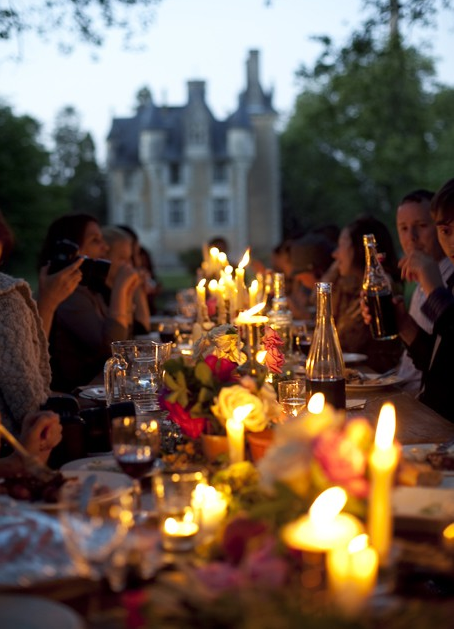 dining alfresco by candlelight is magical. oh my goooodness this sounds delicious!! I am coming to your dinner! I would kill for this menu!